America's Favorite Quiz Show: "Jeopardy!" The television game show "Jeopardy!" combines a simple quiz show with difficult quiz questions, an instantly-recognizable host and a number of annual tournaments to create a contest that's ruled the airways as America's favorite quiz show since 1984. "Jeopardy!" and its host Alex Trebek has been at the top of the syndication ratings, coming in second only to sister show "Wheel of Fortune," which typically airs immediately after. 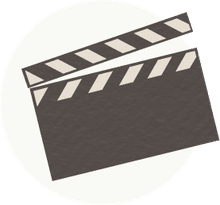 Learn more about the show and its history, get information on how to be a contestant, read up on host Alex Trebek and check out our interview with past champion Ken Jennings. There are lots to dig into where "Jeopardy!" is concerned! "Jeopardy!" first aired as a daytime game show on NBC hosted by Art Flemming in 1964. Created by Merv Griffin, the show featured a quiz in two rounds with three contestants. The show ran in the noontime slot and was second in ratings only to "Hollywood Squares." It remained highly successful in that slot until NBC's Vice President of Daytime Programming Lin Bolen moved the show to a later time to appeal to a demographic of 18 to 34-year-old women. The daily syndicated version premiered in 1984 as a response to the popularity of Griffin's other new show "Wheel of Fortune." The show went on to great success, ranking just behind its counterpart with over 25 million viewers per week. In 2009, Jeopardy updated its set in Las Vegas as part of its celebration of its 25th Anniversary on air. Alex Trebek, Host of "Jeopardy!" Canadian Alex Trebek has a long history of game show hosting gigs but is best known for his role at the helm of "Jeopardy!" Over the course of his career, Trebek has hosted over 7,000 episodes of the show. With our without his signature mustache, Trebek has gone on to become one of television's most recognizable faces. But Trebek isn't just a host. He's done all kinds of interesting things outside of game shows too, including running the Olympic torch and hosting the Pillsbury Bake-Off. He's even in the Guinness Book of World Records thanks to his hosting duties on America's favorite quiz show! "Jeopardy!" is one of the tougher trivia-based game shows (maybe even the toughest), and contestants should be proud of being chosen even if they don't win big money. Still, anyone who loves the game has dreamed of getting on the show and going for a Jennings-style run. It's not easy to get a coveted spot on the podium, but if you think you have what it takes, here's how to get on the show. First, visit the Jeopardy website to apply to be a contestant. You'll be asked to fill out some basic information and provide an e-mail address. Next, you will need to register to take part in one of the quarterly tests that gauge how well you would do on the show. Then, you wait! While you await the details of the next test, it's best to prepare to play "Jeopardy!" by taking one of the online trivia games or practice either online or on a console version of the game. If you don't think you really want to compete but would still like to see the show, it's quite simple to get audience tickets, especially if you already live in the Studio City, California area. "Jeopardy!" is taped in front of a live studio audience, and tickets are free for the asking. It's an experience that you'll never forget — I highly recommend attending if you have the means! To apply for "Jeopardy" audience tickets, simply visit the "Jeopardy!" website, click on "get tickets" in the top right corner, fill out your basic information and request for number and date of tickets desired, click submit and wait for the confirmation e-mail. Easy, right? 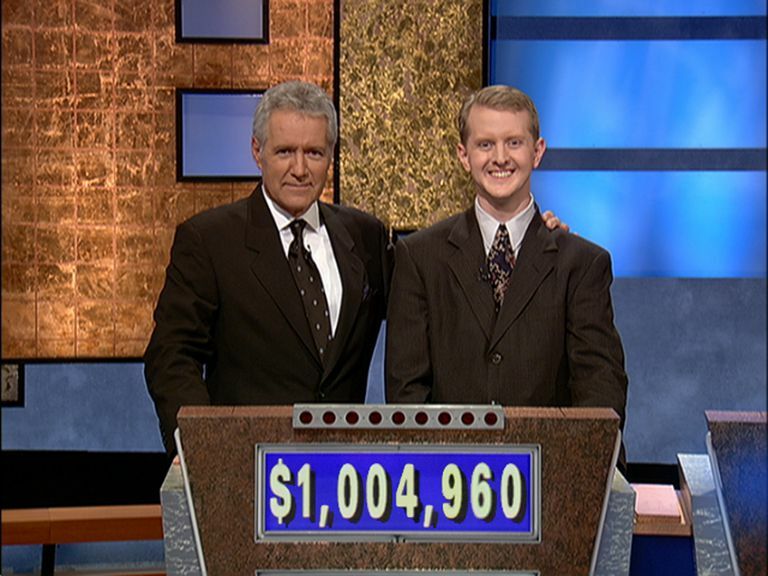 Ken Jennings is the first person who comes to mind when people think "successful 'Jeopardy!' contestant" (well, maybe second after Brad Rutter, but we're not going to split hairs here). Jennings currently holds the record for the longest winning streak on the show and second-highest total cash prize value. In 2004, Jennings took on the wall of questions 74 consecutive times before his defeat by challenger Nancy Zerg in November of the same year. The 75 matches ran over the course of 182 days and Jennings' combined winnings totaled $ 2,522,700. In this interview, he discusses Jeopardy as well as other topics including working on his book "Brainiac: Adventures in the Curious, Competitive, Compulsive World of Trivia Buffs," which was published in 2006. Over the years, "Jeopardy!" has featured a number of regular tournaments and special theme weeks. Each one has a distinct vibe, clear rules and storied histories that involve some of the highest rated episodes in the game's illustrious history. Oftentimes younger contestants are allowed on the show for these special weeks. Popular among them are "Kids Week," which allows contestants aged 10 to 12 to compete with one another for scholarship and educational prizes, the "Teen Tournament" and the "College Championship." On the other side of that coin, "Jeopardy!" has also celebrated exemplary citizens like members of the U.S. Armed Forces and Law Enforcement. The annual "Teacher's Tournament" pits kindergarten through 12th-grade teachers against one another for a $100,000 grand prize and chance to enter the " Tournament of Champions." Another special of note was "The Battle of the Decades," which was introduced in order to celebrate the show's 30th anniversary. Special weeks happen often throughout the year, check your local listings to see if this week might be one, too! From memorable contestants to bloopers to nail-biting games, "Jeopardy!" is full of fun and remarkable stories and clips. For instance, did you know that in 2011, there was a special competition between the highest-grossing winners on the show and a computer system named Watson which was programmed to answer questions posed in a natural language? Watson beat both Jennings and Rutter. Chuck Forrest was one of the 1980s most popular game show contestants, holding the record before Jennings for most money earned in a non-consecutive tournament game show. He developed a technique that became known as the "Forrest Bounce" wherein he would bounce around from category to category when he had control of the game board. This strategy was meant to confuse other contestants and give Forrest the advantage of knowing where he was going next. "Jeopardy!" if full of Memorable Moments, be sure to check out some of them and keep staying tuned every weekday to see the newest episodes. Who knows, there may be a different "Bounce" just one contestant away. Jeopardy is one of the best-known and most-watched game shows on the air and shows no sign of slowing down. There will certainly be more tournaments, special episodes, and memorable moments in the years to come. Take the online test to become a contestant and be a part of this iconic game show, or just request a ticket. No matter which way you view it, "Jeopardy!" is sure to be a blast.